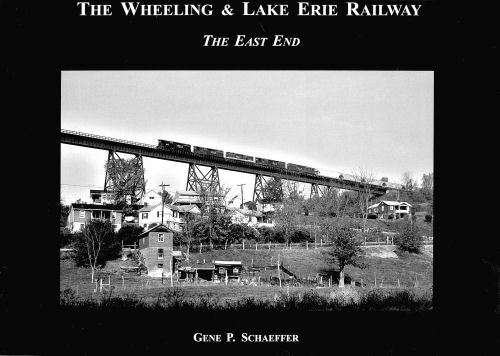 The Wheeling & Lake Erie is a familiar railroad name with its history dating to 1871 in providing transportation throughout the State of Ohio. Reaching from the northwest corner at Toledo, the W&LE ran southeast through Brewster, where it branched off in several directions. Just East of Brewster at Harmon, branches radiated northerly to Cleveland and southernly to Zanesville, with it main track continuing eastward towards the Ohio River at Warrenton where it turned north towards Mingo Junction and Steubenville, or south to its terminus at Martins Ferry. At Pittsburgh Junction, not quite 50 miles east of Brewster, was Wheeling & Lake Erie's ever important connection with the Pittsburgh & West Virginia Railway and the "Alphabet Route" with its fast freight time sensitive freight service. Today the Wheeling & Lake Erie entered into a partnership with regionals Allegheny Valley and Buffalo & Pittsburgh Railroads by offering a new version of the "Alphabet Route". Hard cover.